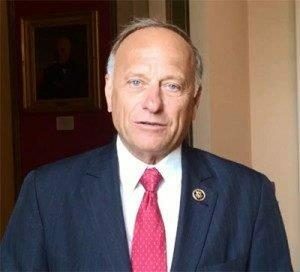 The Republican leader in the U.S. House plans to meet with Iowa Congressman Steve King Monday to discuss King’s future after King’s recent comments about white supremacy. Kevin McCarthy, the Republican leader in the U.S. House, has the authority to remove King from House Committees and McCarthy has indicated that is an option. King went on the floor of the U.S. House Friday, saying labels are being unfairly “hurled” at people like never before. King has been rebuked in the past few days by other Republicans. On Saturday, Senator Joni Ernst called his comments about white nationalism “offensive and racist.” Also Saturday, the Congressional Black Caucus called for King’s removal from all House Committees. On Friday, House Speaker Nancy Pelosi told reporters “there is interest” in taking some sort of House action to sanction King, although she did not say what is being considered.